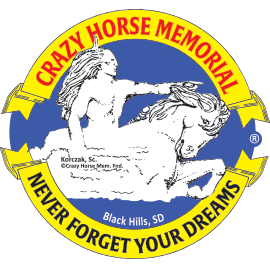 The inspirational theater film shown at Crazy Horse Memorial®. Experience Sculptor Korczak Ziolkowski's vision and dream to carve the world's largest Mounting Carving, dedicated to Native Americans. Witness stages of the sculpture to date. Meet the sculptor's family, be inspired by Korczak's wife Ruth (1926-2014), their children that are leading The Dream with the faith and fortitude instilled in them, and the support of many committed believers. DVD bonus features include a tour of the Memorial's multi-building visitor complex, a music video, reflections from Korczak, a Crazy Horse quiz, and a digital copy to watch on your mobile devices and home computer. Total run time: 53 minutes. Color. Closed Captioned. ©2014, 2012, 2010, 2007. Korczak's Heritage Inc. All rights reserved. Plays worldwide.